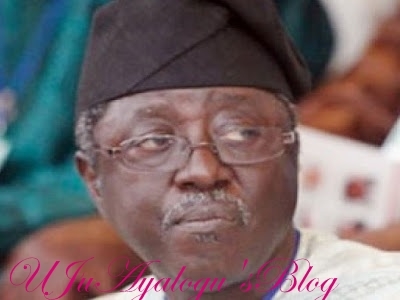 The immediate past governor of Plateau State, Senator Jonah Jang, has reportedly said that he would not be re-contesting for the Plateau North Senatorial District seat in 2019. The former governor, currently representing Plateau North, was reported as disclosing this at a meeting with Peoples Democratic Party, PDP stakeholders from the senatorial zone held at WAYE Foundation, Doi, Jos South Local Government Area, yesterday. He said that the Senate seat would be vacant for the 2019 election, for the people of Plateau North to decide who should represent them at the red chamber. The Northern Zone leader of the PDP, Chris Hassan, was quoted by Vanguard as saying that “The Senator called the meeting to meet with all of us from the zone. He made known his intention not to re-contest the Senatorial seat and asked us as a party to work together and ensure unity. “We are giving a level playing ground to all the aspirants; there will be nothing like the issue of zoning. Zoning is not going to be discussed; we are leaving everything open for all interested people to contest. “What the Senator asked was that we should quickly convene a meeting of all PDP stakeholders in the northern zone and deliberate on the seat but as a Party, we are leaving the seat open to whosoever is qualified to go and contest.